Apple: You Say You Want a Revolution? Life is getting just a tiny bit harder for iPad users who want to subscribe to Hulu Plus. 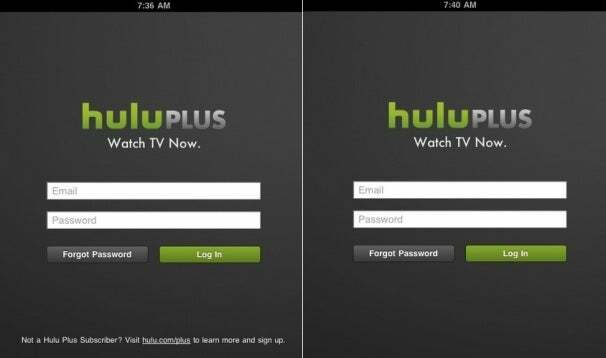 In accordance with Apple's subscription policy on iOS devices, Hulu has removed from its iPad app a Web link that let users sign up for the streaming television service, All Things Digital reports. Prospective subscribers will instead have to open a Web browser on their own and navigate through Hulu's Website to begin the sign up process. Apple allows third parties to sell subscriptions directly within their iOS apps, but this entitles Apple to a 30 percent cut of the revenue. For services with a lot of overhead, like Hulu Plus, that arrangement is untenable, so they've worked around it by sending users through a Web browser to complete the sign up process. Earlier this year, Apple said it would crack down on this workaround, requiring an in-app purchase option for all subscriptions, and forbidding companies from selling their subscriptions for cheaper elsewhere. In other words, users would be steered towards the in-app purchase, entitling Apple to a big cut. But weeks before the rules took effect, Apple relented. Subscription-based apps may refuse Apple's system entirely, or they can charge higher prices through the App Store to compensate for Apple's 30 percent cut. In exchange for this concession, iOS apps are not allowed to sign up new users through a link to a Web browser, hence Hulu Plus' removal of that option. The change could foreshadow similar moves by other apps. Any app that wants to avoid Apple's subscription policy--be it Netflix, Rhapsody or Pandora--will have to scrub all links to the sign up process. This could also pose a problem for e-book sellers such as Amazon, as the new rules apply to in-app purchases as well as subscriptions. So while the change in Hulu's app is just minor inconvenience, it could foreshadow a recurring nuisance for consumers as companies desperately try to keep their revenue to themselves.